Emotional exhaustion and late-blooming fangirling! What a frustrating show. In a charming way. It became quite addictive, despite the problems, such as the ridiculous silly plots, and the big magic reveal coming waaay too late, as everyone says (come on, Merlin, you know you could have sat Arthur down and talked him onto your side; you even could have used MAGIC for it; it would hardly be the most underhanded thing you've ever done). And most frustrating of all, we didn't really get our prophecied great future where Arthur was the best king anyone ever saw and magic was no longer outlawed and Merlin got to be court sorcerer. I get that Arthur will rise again, so that's still in the future, I suppose, and from the modern-day last ten seconds of the series are we honestly to understand it still hasn't happened by the 21st century, and Merlin is STILL waiting? Gah. Between that and Rory on Doctor Who, I have to conclude the BBC has a fetish for making devoted friends wait millennia for each other. It pretty much became Les Misérables. The series finale is not unlike the barricade scene meshed with the Grey Havens. Pain! But that's in keeping with the tragic nature of (most of) the Arthur legends, and in fact as a tragedy it turned out to be very well crafted. The rifts ran too deep to fix easily; the villains frequently were human enough that I felt sorry for them (Mordred! and of course the fabulous Anthony Stewart Head as Uther). I see why Merlin fans everywhere are saying, even three years after the series ended, that they'll never be over it. At least half the reason it's so heartbreaking, though, is Colin Morgan alone, who throws tremendous talent into his role. He's one of those wonderful actors who, like Sarah Michelle Gellar on Buffy, doesn't care if they're being handed a somewhat formulaic script and are going to have cheesy special effects painted onto them. They're going to live this part and treat this like it's the Royal damn Shakespeare Company, and they'll win you over forever. 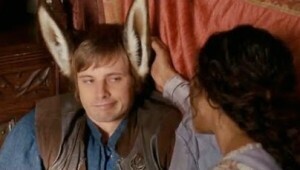 Actually, all the Merlin actors turn in lovely and often amazing performances--as another example that comes to mind, Bradley James and Angel Coulby seriously impressed me with their powerful Arthur/Gwen showdown over Lancelot. But Colin is the standout of the series. Which is why he won all the awards and stuff, I suppose. And what of the shipping, you ask? 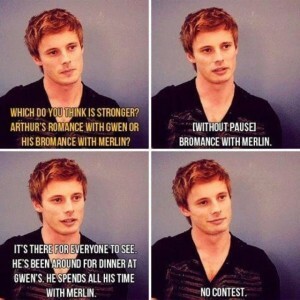 The Merthur? Slash, yes/no? Well, yes. 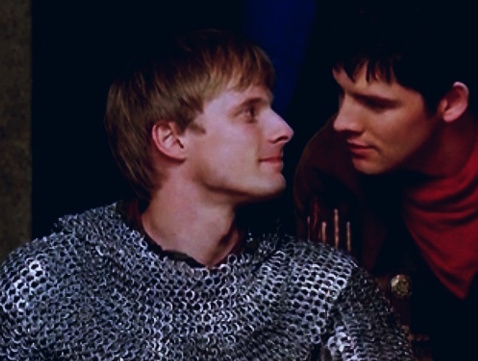 By the end of season 5, if you have any slash neurons at all, it's kind of impossible not to ship Merthur. Unlike some ensemble-cast shows that spread the stories around more among the characters, in this one probably 75% of screen time involved either Arthur or Merlin, and frequently both. They spent an awful lot of time in each other's company. 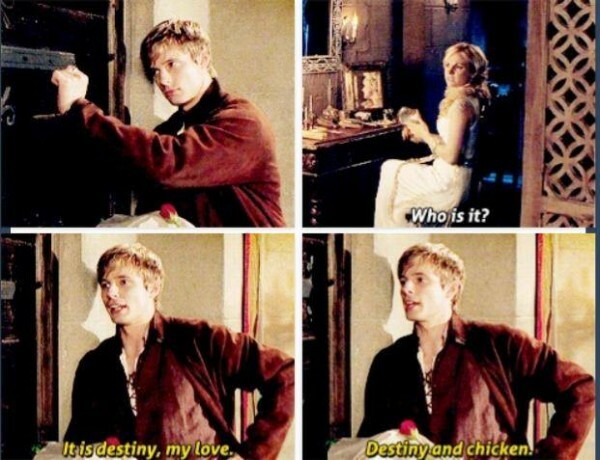 Plus, in practically every episode, Merlin performs an "I'd die for him" courtly-love gesture or declaration without any irony, and sometimes Arthur even does it back. I fully believed in their other and more canonical relationships--Arthur/Gwen made me squee, Gwen/Lancelot was done with surprising good taste and romance, that one single episode of Merlin/Freya-the-doomed-magic-girl was beautiful. But even the cast and creators say without missing a beat that the "bromance" was the most important relationship of the series. So yeah. Count me among the heartbrokenly thrilled Merthur people. Devastated it's over, but thank goodness there's those earlier seasons to rewatch, and also there's fanfiction! In fact there's so much fanfiction I could be reading it the rest of my life and never run out of material, if I chose, so that's...good? 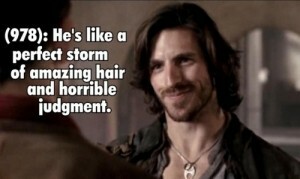 Postscript: I'd also like to thank Eoin Macken (Sir Gwaine) for his cheeky attitude and gorgeous hair. 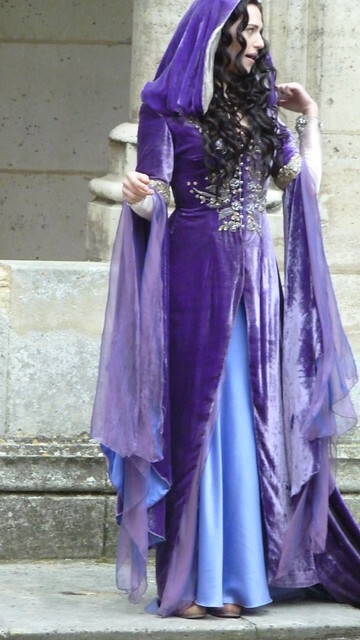 Also if someone could send me every dress Morgana ever wore, tailored to fit me, that'd be super. Thanks. I love the "even the dragon ships it." This is all true in all the ways! Welcome to the fandom. 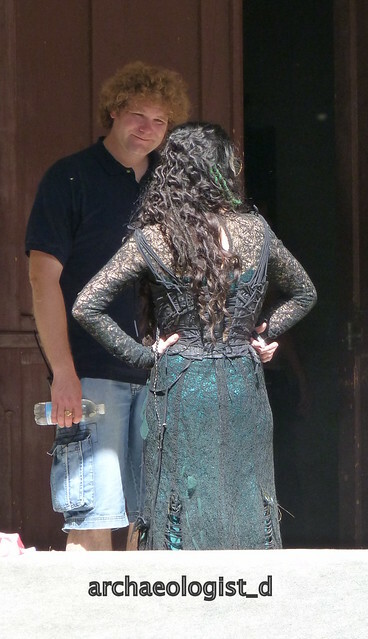 Anyway, here's some Morgana shots for when I was there for the filming. Eee, that's so cool that you got to be there at filming! Man, those dresses. Someone needs to make cheap knock-offs for us all. For a few seconds I liked that "1000 years later" bit at the end, because it seemed to give us hope, but then I realized all the long lonely centuries of unfinished business that it entailed for Merlin, and went, "Wait, WTF, no." Sigh. Yup, even the dragon ships it. Thank you! So glad to see the ongoing fandom discussions. Welcome to the fandom! This is definitely one of the best fandoms I've been in, tbh. 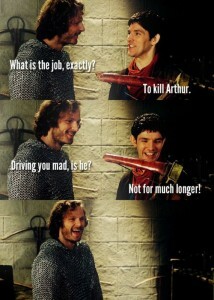 You nailed why I ship Arthur and Merlin. Welcome on board. There really is a lot of great fic to be had.